Matsuguma S, et al. (2018). 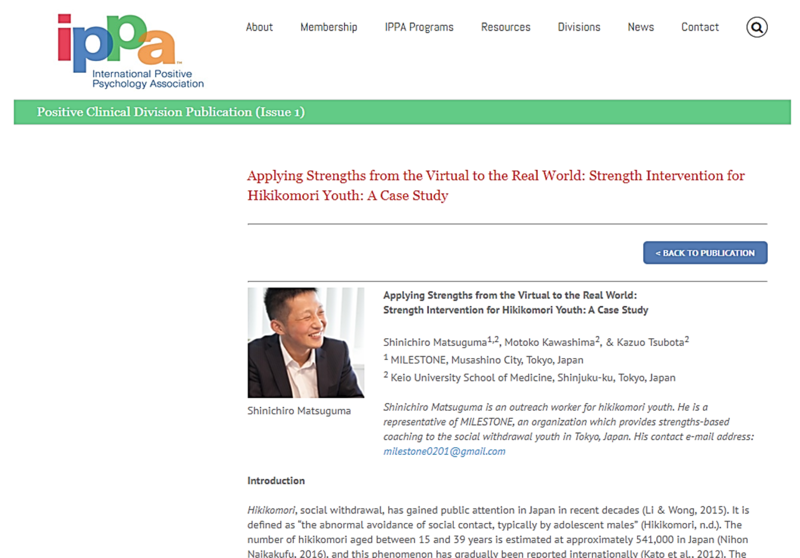 Applying Strengths from the Virtual to the Real owrld: Strength Intervention for Hikikomori Youth: A Case Study. Positive Clinical Psychology: International Perspectives.